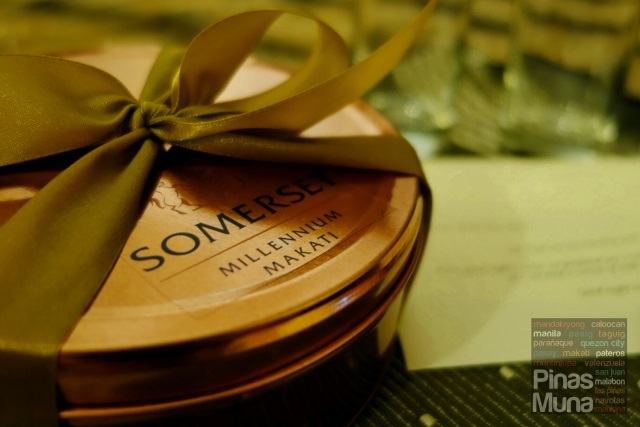 Somerset Millennium Makati is a serviced residence featuring 147 serviced apartments ranging from studios, one-bedroom and two-bedroom residences. Each serviced apartment has a fully-equipped kitchen and a home entertainment system, and is designed with a stylish contemporary interior. 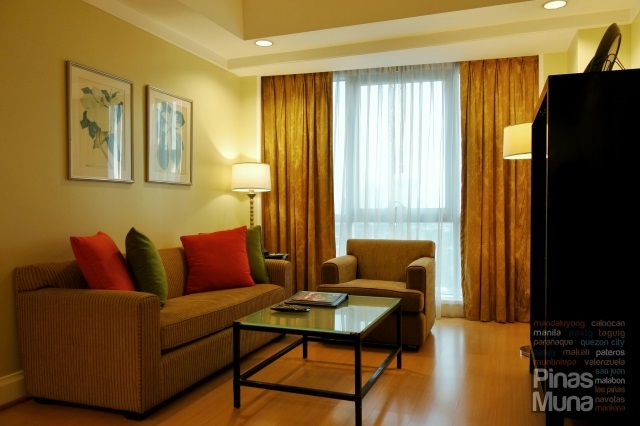 Managed by The Ascott Limited, Somerset Millenium Makati caters to leisure travelers visiting Manila for vacation, business travelers on short- or long-term assignment in Makati Central Business District, and weekend staycationers looking for a hotel that offers the comfort and convenience of a home. 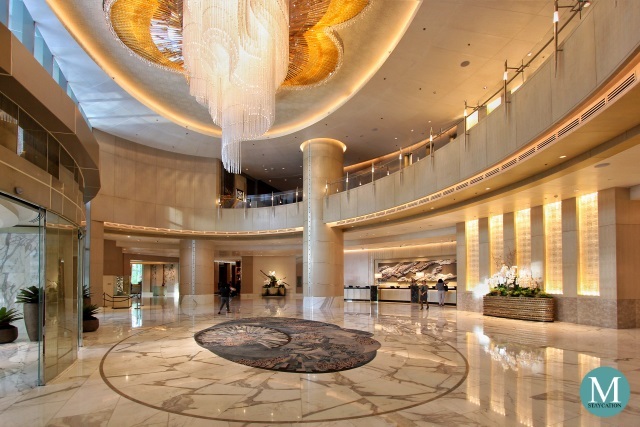 Last month, we spent a weekend at Somerset Millennium Makati. Being located in Legaspi Village, away from the busy malls of Ayala Center, we were assured of a peaceful and relaxing weekend staycation. 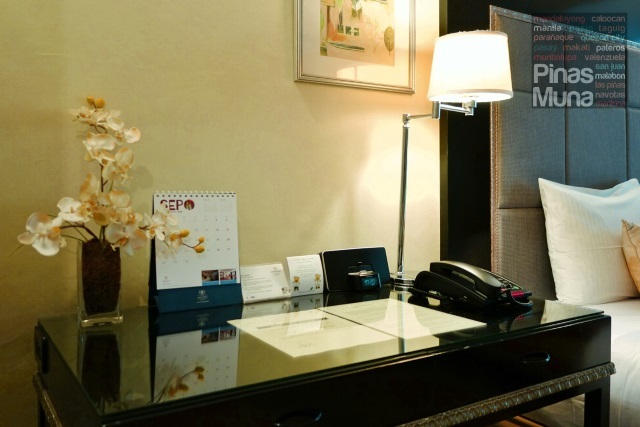 Just like at Ascott BGC, Somerset Millennium's front office has seated check-in, making the guest registration very comfortable. Check-in was a breeze, after filling-out the registration form, our electronic key cards were immediately handed to us. Incidental deposit is P500.00 per night. 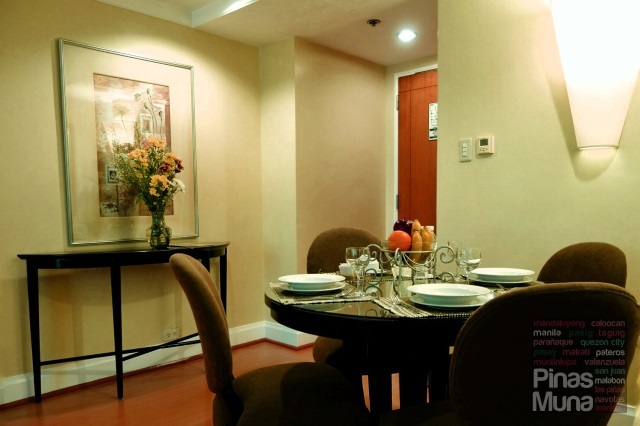 We stayed in a one-bedroom apartment with a total floor area of 67 sqm. It has a spacious living area equipped with a home entertainment system including a cable-ready LCD TV with local and international channels, as well as a DVD player. 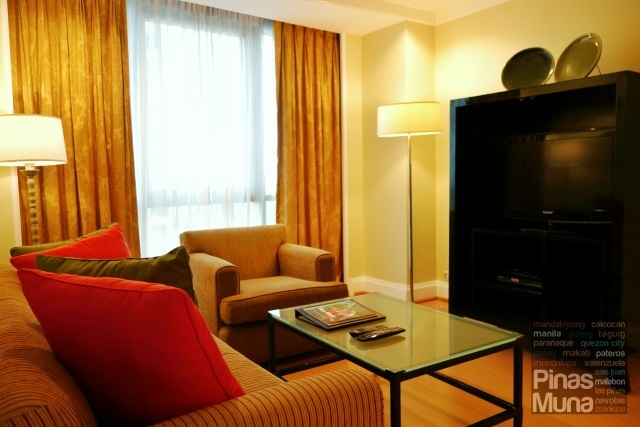 The living area is furnished with a sofa and a couch which is perfect for couples or a small family with young kids. The warm, earth-toned colors of the interior gives the living space a very homey feel. Separate from the living area is the dining area furnished with a round table and four chairs which makes in-room dining more convenient and enjoyable. Glassware, crockery and cutlery are also provided per apartment. Beside the dining area is a fully-equipped kitchen. There's cooker hob and hood (Elba), an electric kettle, kitchen utensils, microwave oven (Electrolux), refrigerator and rice cooker. For long-staying guests, cooking your own meals is a more economical option while for leisure travelers and staycationers, the kitchen provides the convenience of preparing a quick snack or heating take-away food. In our case, we opted to order food from the room service. For afternoon snack, we had caesar salad, club sandwich, iced tea and coffee. There are more food items to choose from the room service menu. Room service was quick and very efficient. 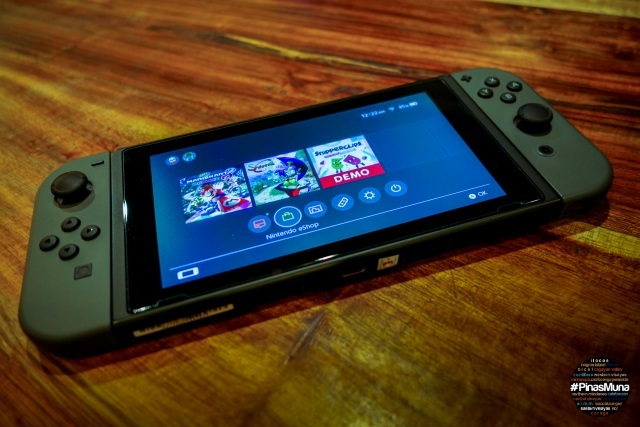 You can either pay outright in cash or have it charged to your room account. After our quick snack in the room, it was time for some pampering. 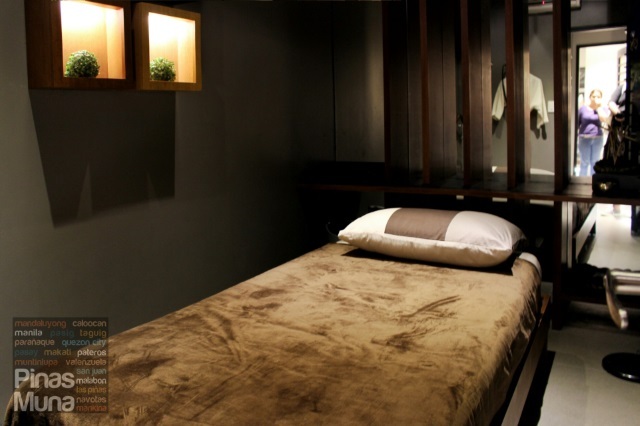 There are a number of wellness establishments in Legaspi Village including spas, salons and barber shops. 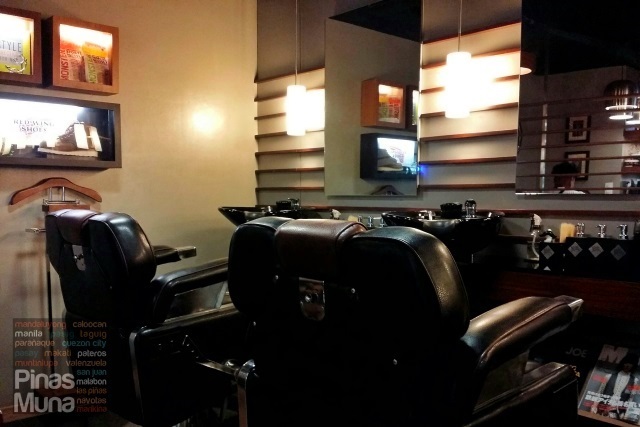 We didn't have to go far because right at the ground floor of Somerset Millennium is The John Barbers Groomers, a high-end barber shop offering premium wellness services for men, including haircut, shave, hair and facial treatment, manicure, pedicure and massage. I had the Dry Cut (P280.00) since my hairstyle (The Buzz) doesn't really require much styling, just a clean cut using electric clipper set to number 3 with the sides and back trimmed slightly shorter than the top. After my haircut, I also had the Foot Spa (P500.00). I was very satisfied with the service. The barber and the therapist were very professional and were really good at their craft. But what really impressed me were the amenities. The barber chair was very spacious and comfortable. It's covered in fine leather that is very soft to the skin. 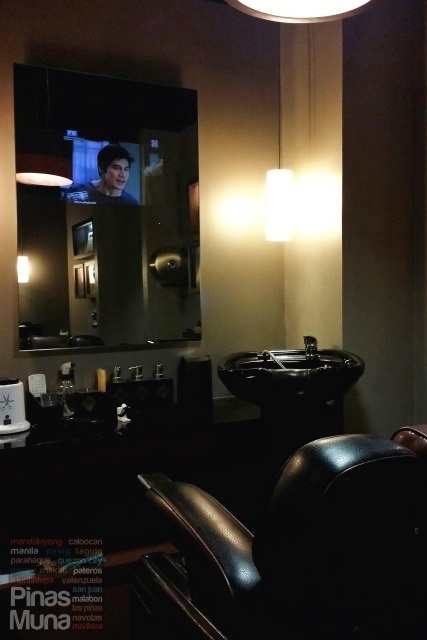 The mirror has a built in LCD TV behind it so you can watch your favorite show while having your treatment. 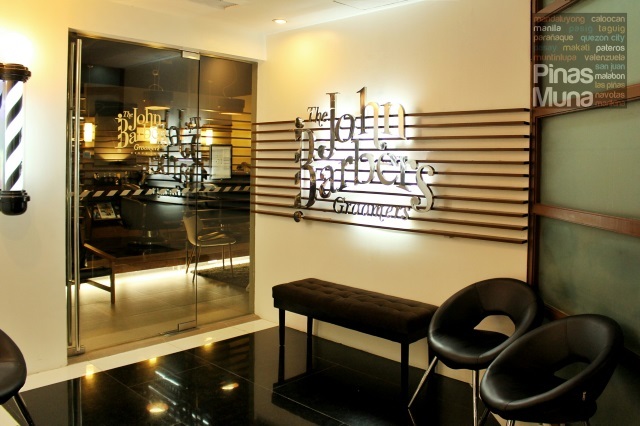 The John Barbers Groomers also offers massage service starting at P200.00 for a 15-minute back massage to P600.00 for a 1-hour full body massage. 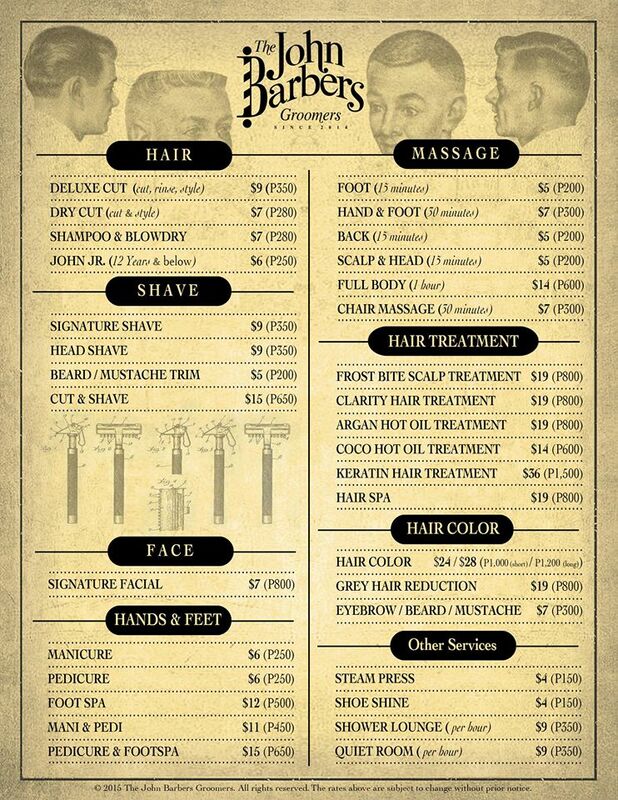 Below is the complete list and rates of services offered by The John Barbers Groomers. After my haircut, we went back to our room for a quick shower. The ensuite bathroom is attached to the bedroom. It was spacious and tastefully covered with marbles. There's a single basin with granite countertop. Mounted beside the countertop is a liquid soap dispenser by ADA Cosmetics, a Germany-based supplier of hotel cosmetics. Bio Naturals branded toiletries include Liquid Soap with Organic Lemon Oil, Hair & Body Shampoo with Organic Orange Extract, Softening Conditioner with Olive Leaf Extract and Lemon Essential Oil, and Caring Body Lotion with Olive Extract and Lemon Essential Oil. Our bathroom has a bath tub and a separate walk-in shower. Water pressure was excellent and water temperature was very easy to regulate. Our bathroom was generally clean and looks well maintained. Towels were clean and smelling fresh. 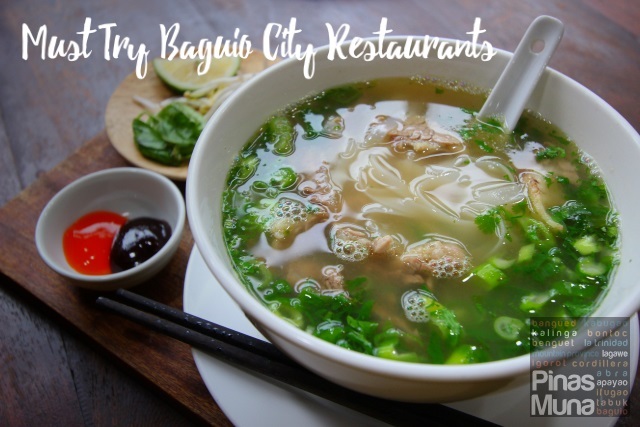 Legaspi Village is also a dining destination in itself because of the various restaurants that opened in the area. 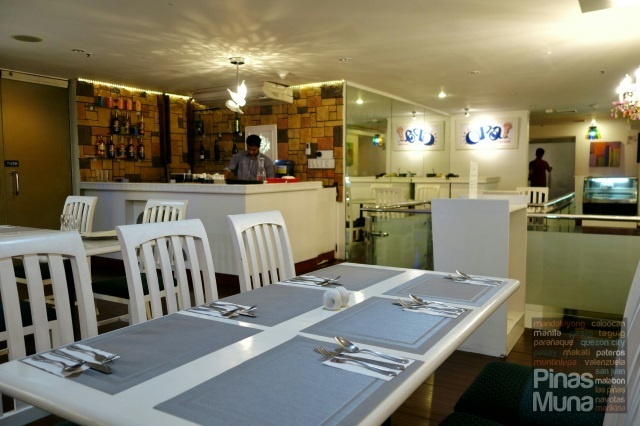 There's an American, Filipino, Japanese, Italian, Indian and even an Australian restaurant. 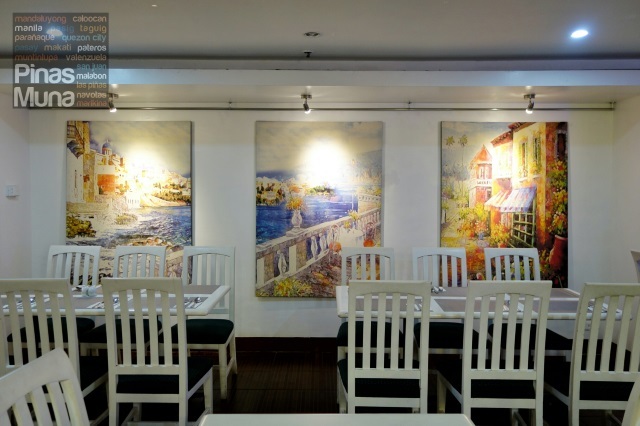 Offering Mediterranean inspired dishes is Somerset Millennium's very own in-house restaurant, Opa! Mediterranean Inspired Cuisine. During our weekend staycation at Somerset Millennium, we feasted on Mediterranean dishes with a 6-course dinner at Opa. We started off with Crab Brandade (left) and OPA! Salad (right) for appetizer. The brandade has a crispy crust while the inside was moist. The salad offers a refreshing taste, a contrast to the savory flavor of the brandade. I especially loved the sweet sun-dried peppers and the feta cheese. We were then served with Double Mushroom Soup which was very thick and flavorful. Edgar really loved this soup because it was creamy with a rich-earthy flavor or mushrooms. Pasta came next. Edgar had the Pasta Pomodoro (left) which has a creamy tomato sauce and generously topped with fresh Parmesan. I had the Carbonara di Mare (right) with its rich cream based sauce with salmon chunks and prawns. We really loved our pasta dishes because they have a very well balanced flavor and the pasta were cooked with perfect consistency. For main dish, Edgar had the Pressed Pork Belly (left), a hearty dish of pork loin with very tender meat and crispy skin served on a bed of roasted eggplant and topped with asparagus wrapped in bacon. I had the Grilled Chicken Tapenade (right), a grilled chicken dish topped with olive tapenade and served on a bed of grilled eggplant. Finally, we had Creme Brulee (left) for dessert followed by shots of Limoncello (right) for digestivo. It was really a fun and filling evening spent at Opa. We had French, Italian and Greek dishes making our dinner seem to be a culinary tour of the Mediterranean. Back in our room, we spent the rest of the evening channel surfing in our bedroom. Our king size bed was very comfortable, and so were the pillows. The linens were clean and smelling fresh. The floor to ceiling window offers a stunning view of the city's eveningscape. Beside the bed is an executive desk where I worked with my laptop replying to some emails and browsing through travel blogs. Complimentary WiFi connection was available in our room. There's also an iPod dock where we played classical music that night. At around 9:00pm, we felt like munching on chips so we went down to the Family Mart located at the ground floor of the building. When we came back to our room, our bed was turned down, with this can of almond cookies for midnight snack. There's also a note telling us that a carton of chilled milk in the refrigerator will hopefully help us get a good night sleep. Waking up the following morning, we felt well rested and energized, ready for another day in Legaspi Village. The streets around Somerset Millennium are ideal for a morning jog. But if you prefer working out indoors, there's a fitness center located at the 10th floor of the building. Alternatively, you can have a morning swim at pool located on the same floor as the fitness center. 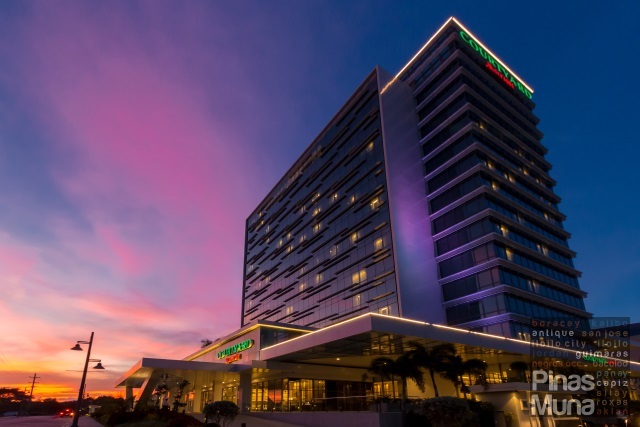 Overnight stay at Somerset Millennium Makati comes with a buffet breakfast for two persons at Opa. Choices include fresh fruits, cereals, breads and pastries, rice and various hot dishes. There are also a number of restaurants in Legaspi Village that open early in the morning to serve breakfast. 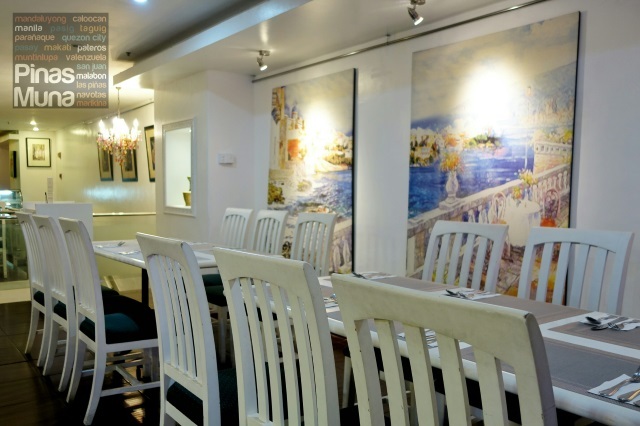 Such restaurant is Kitchen 1B located at Gamboa Street, two blocks away from Somerset Millennium. Kitchen 1B serves continental dishes using organic ingredients. 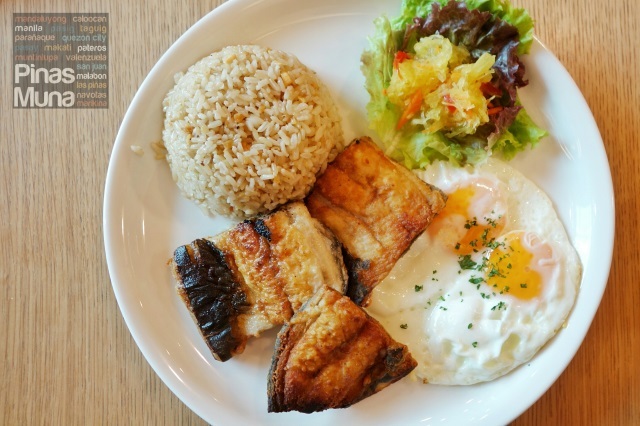 During our visit, we tried the Bacon & Eggs (P360.00) and the Boneless Bangus & Egg Breakfast (P480.00). The serving size is quite generous but the taste was just average. We did enjoy the dishes we sampled at Kitchen 1B however, we find them quite pricey. Highlight of our weekend staycation in Legaspi Village has got to be the Legaspi Sunday Market, a popular dining destination in area for international and home-cooked Filipino dishes. I was really amazed by the variety of dishes that you can find here at Legaspi Sunday Market. 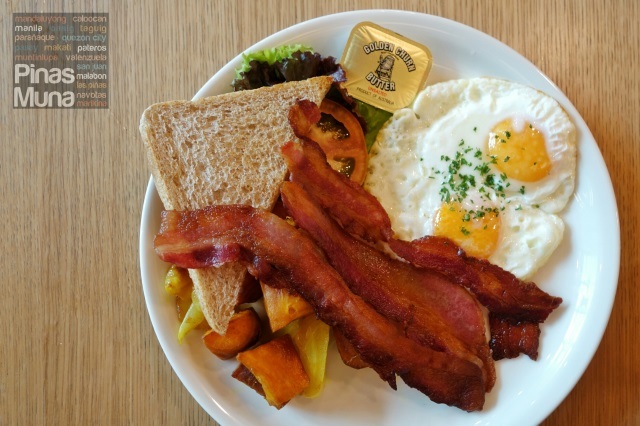 There's no other place where you can find food from Malaysia, Singapore, Thailand, Indonesia, Morocco, as well as Poland, Hong Kong, Portugal, and of course the Philippines, under one roof. The place is just filled with freshly cooked dishes from around the world. Aside from cooked dishes, you can also find fresh produce at the Legaspi Sunday Market. Some items we spotted were fresh seafoods, fruits and vegetables, and longganisa from different regions of the Philippines. Overall, it was a remarkable weekend staycation spent in Legaspi Village, Makati. 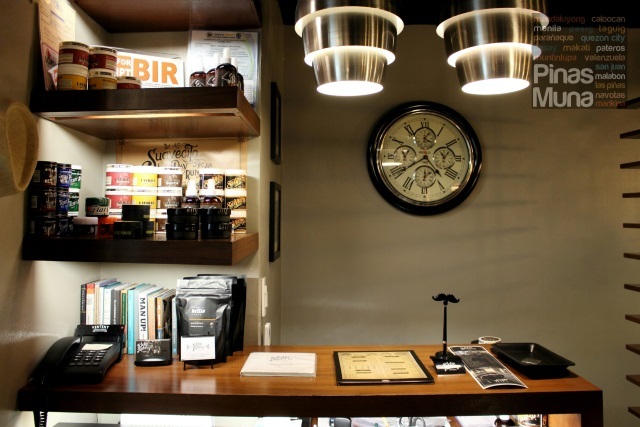 The area has something for fitness enthusiasts, wellness aficionados and of course for foodies. 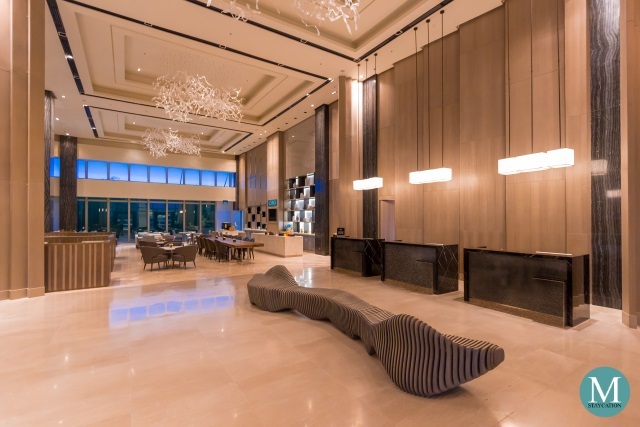 At the center of it all is Somerset Millennium Makati where families and barkadas alike can enjoy the comfort of a full-service hotel and the convenience and privacy of a home.